Working as a lecturer in psychology offers a secure and rewarding career choice. As understanding human behaviour in all aspects of life becomes ever more important for businesses organisations across the public and private sector, so too the need for people to teach these skills has increased. Consequently, the vast majority of universities and further education establishments now offer at least one psychology-based course, with many providing several options that encompass psychology in some form. It is therefore important to note that there does not tend to be many ‘general’ jobs for lecturers in psychology, but rather specific needs for psychology lecturers with a more clearly defined specialism. This may be sports psychology, relationship psychology or gender psychology for example, with more ‘commercial’ types of psychology that enable business and individuals to perform more effectively also popular. That said, psychology is also a popular module in other degree courses, so it is possible to work as a more general psychology lecturer if one is not playing a key role in a dedicated psychology degree course. Working as a lecturer is psychology is an interesting career path for people of all ages; indeed, many psychology lecturers returned to university as mature students as it is a subject which certainly benefits from more ‘life experience’. A degree in psychology is certainly required, although some psychology lecturers have their first degree in another subject, but it is usually in a related subject. A Master’s degree in psychology is also required, with many students choosing to study the particular area of psychology that interests them and in turn becomes a core aspect of their teaching focus. Please note that most universities and further education establishments (which will become the employers of lecturers of psychology) do not really like it if their lecturers are too defined by a particular psychology school – after all, you are there to teach others to form their own opinions. There are plenty of employment opportunities available for lecturers in psychology, with both freelance and permanent positions. As is the norm, freelance positions are better paid (with a common hourly rate of around £20 - £30) but there is little to no job security and hardly any opportunity for paid professional training. Permanent positions start at around £25,000 per annum, progressing to £35,000 for lecturers with over five years experience. Lecturing positions tend to be in term time only, although some night classes are held all year round. There are also considerable potential benefits to being employed by a university or college of further education, such as possible subsidised accommodation, access to further professional training and the ability to access research grants. Although lecturing in psychology could certainly be considered to be a career suited to an academic type person, it is important to note that a lecturer has a responsibility to hold the attention of their ‘audience’. 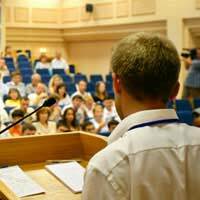 A good lecturer must be able to impart their knowledge in a manner that engages the students, so it is not a career choice suited to particularly shy people, although you do not need to be a complete extrovert to make lectures interesting and informative.